A small footpath marks the entrance to Black Creek near the end of Sedar Road between Calumet and Allouez. 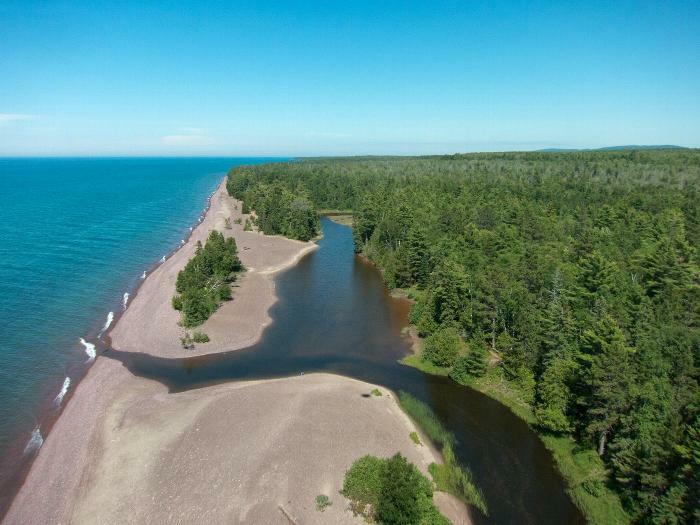 The trail will take you to the 1300 feet of Lake Superior shoreline that MNA protects as well as the beaver marshes, dune habitat and conifers that surround the creeks in this 242 acre sanctuary. See the lagoon where Black Creek and Hills Creek meet before entering Lake Superior. This area is especially rich in wildlife and scenic beauty.